I always look forward to a visit with the Hair God, or as he’s better known, Darrell, at Studio 627 in Murfreesboro, Tenn. He and his fabulous coordinator, Lori, always make me feel like a million dollars when I leave with a new ‘do. I left my last visit, however, feeling like way more than a million dollars. Lori gave me the best compliment. she said my skin looked great, even glowing. For the first time since the teenage years, my skin looks better than it ever has. I’m almost 48, and I have the skin of a 13-year-old. 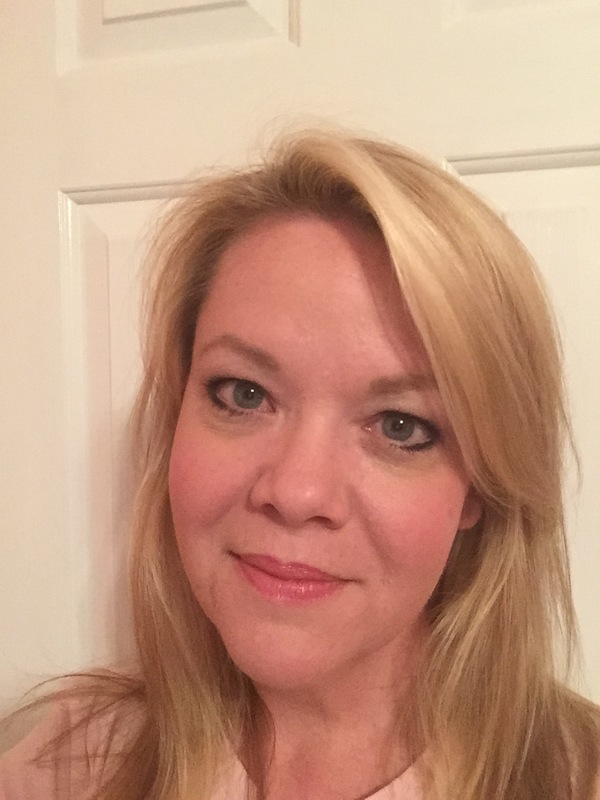 Up until now, I had the blemishes of a 13-year-old, complete with a few “fine” lines. I’ve tried just about every product out there for adult blemishes. Some would work for a while. Some made the situation worse. The majority stripped my skin of its natural oils, which ironically made my skin produce more oil. Who would think that I would need to use oil on my face to clear it up and to lessen those “fine” lines? Enter essential oils. I began using essential oils as a way to lessen the seasonal sniffling, sneezing, coughing and itchy, watery eyes that are year round for me. Next on my list was tackling my skin. If you share my skin type, let me share with you what’s working for me. I use a combination of what I call my Top Ten Young Living Essential Oils For Skincare: Purification, Lavender, Melrose, Oregano, Lemon, Tea Tree, Lemongrass, Patchouli, Frankincense and Geranium. I use some of these oils by themselves and others in facial mixes I make myself. Some of you might be thinking, I don’t have time to make face wash, toner, etc. Some things to ponder: I can make whatever I need faster than going to the store to get it. 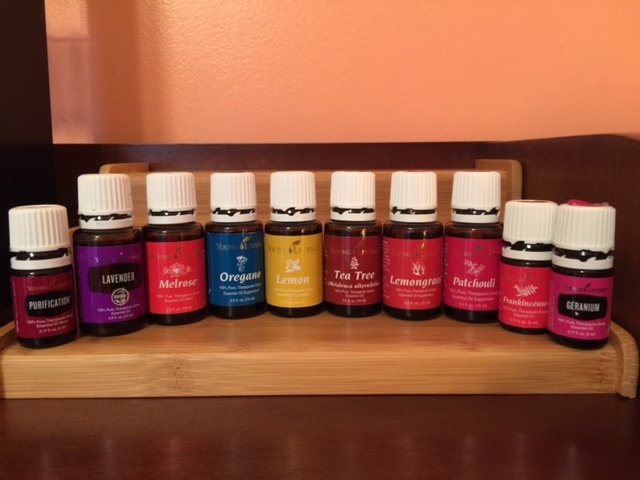 While premium essential oils cost a little more, in the long run, I’m saving a ton of money, because a little goes a long way. I have some facial products I made months ago that I use every day that are still half full. If something doesn’t work, I can add to it or try a new combination. I know what’s in what I put on my face and can also pronounce all the ingredients. Morning: Blemish Facial Wash, Blemish Toner with a drop of Geranium on a cottonball, a drop of Purification on a cotton ball directly on any blemishes, and Blemish Gel. Night: Lavender Eye Makeup Remover, Blemish Facial Wash, Blemish Toner with a drop of Geranium on a cottonball, a drop of Purification on a cotton ball directly on any blemishes, Moisturizing Beauty Serum on “fine” lines, and Blemish Scarring Cream. Blemish Facial Wash: 1/2 cup Castile soap, 10 drops each essential oils: Patchouli, Purification, Lemongrass, Tea Tree, Oregano and Melrose. 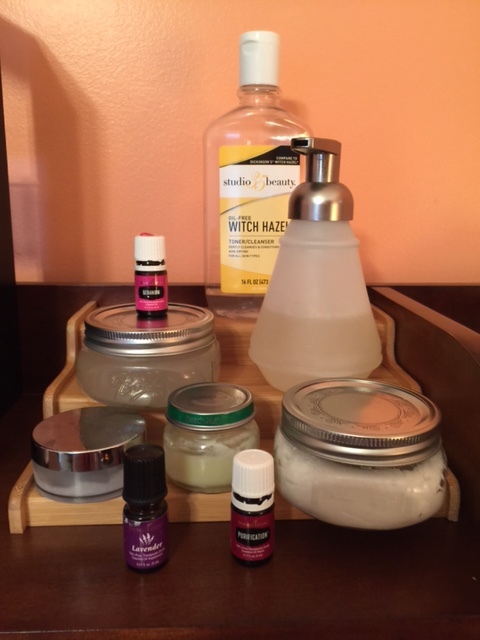 Mix together and use in a foaming soap dispenser. This is the third facial wash recipe I’ve tried. Third time’s a charm. Blemish Toner: Add 15 drops each Lavender and Frankincense essential oils to a 16 ounce bottle of witch hazel. Shake before use. Blemish Gel: 1/4 cup aloe vera gel, 10 drops each essential oils: Geranium and Lavender, 6 drops each essential oils: Lemongrass and Tea Tree. Mix together and store in jar. 50 uses. This is a recipe I added to, after the first version (50 drops Tea Tree and 1 cup aloe vera gel) was a bit too strong. Lavender Eye Makeup Remover: 2 tablespoons coconut oil and 8 drops Lavender essential oil. Mix together and store in small jar. Put a small amount on finger and rub across closed eyes to remove makeup. Moisturizing Beauty Serum: 10 drops each essential oils: Lemon, Lavender and Frankincense; sunflower oil. Add oils to small glass dropper bottle or glass roller bottle with stainless roller (citrus oils can pull toxins out of plastic) and top with sunflower oil. Shake gently to mix thoroughly. Some use a full dropper over entire face; I roll the serum directly onto my “fine” lines. Blemish Scarring Cream: 1 ounce shea or coconut oil, 1 ounce jojoba or sunflower oil, 15 drops each essential oils: Frankincense, Purification and Lavender. Store in small jar. Microdermabrasion Scrub: 5 1/2 tablespoons baking soda, 2 1/2 well-rounded tablespoons coconut oil, 6 teaspoons water, 8 drops each essential oils: Purification, Lavender and Frankincense. Mix together with a fork and store in a jar. Special thanks to Amanda, Kim and my other “hippie” oil lovers for sharing some of these recipes. Disclaimer: I am not a medical professional. The information shared in my posts are not intended to treat, cure or diagnose any illness, nor is it meant to replace professional medical attention or advice. All advice and testimonies are based on the use of the Young Living brand of essential oils, specifically, and any other products mentioned in my posts. Use and application of this information is done solely at your own risk.